I have quite a thing for a well styled table. It is not necessarily something I would say I am good or bad at but I really admire the work of people making tablescapes and kitchen styling look effortless, comfortable, and natural. That is the definition of how Herriott Grace styles their work. A collaboration of father and daughter, these two have mastered the art of creative collaboration. I am a total daddy’s girl and have always wondered if I could find a way to collaborate with him. Everyone always tells me that I am my Father’s daughter. I embraced my creativity from a young age because of him and he always encouraged me to dream as an artist. As a creator himself I can relate well to Nicole and Lance’s story. My father was a carpenter and now as he gets closer to retiring he dreams of making furniture. I would love to see us come together to create something we can share in the way Nicole and Lance have. So sweet and beautiful. Their newly designed blog is full of their day to day adventures of their shop. 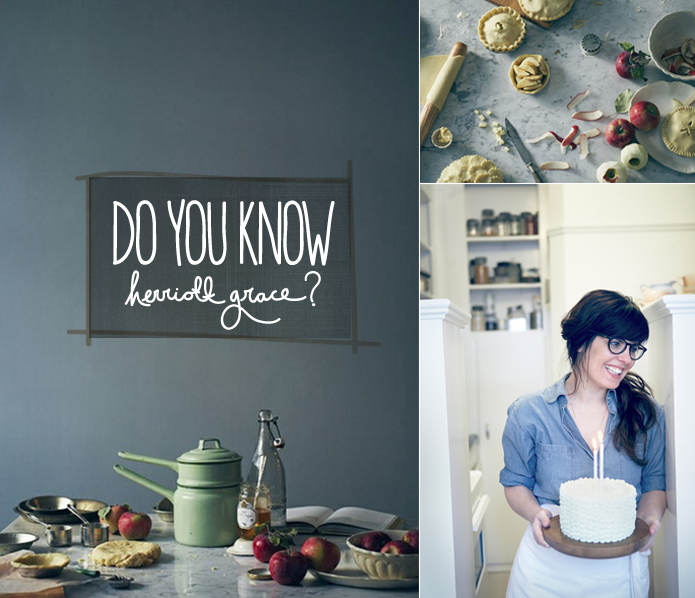 Each post is perfectly shot and full of inspiration from color, to light, to recipes Nicole makes herself. Such a wonderful place to be inspired and see inside an honest and real story of creative collaboration. Wow, they are so talented. I love how organic it all is! I didn’t but I sure do now – wonderful work! I just wanted to let you know that i’m really adoring your new look! Weeee! I love finding treasures like these! Thanks for the intro. I love a well style table meself.